Impacts are expected in education, consumer protection, environmental initiatives, science research and health care. 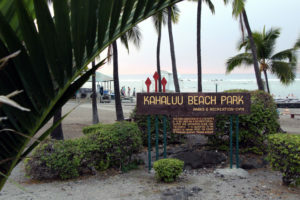 WASHINGTON — Major federal budget cuts are going to hit Hawaii soon. Education, consumer protection, housing, environmental regulation, health care and public broadcasting are all on the chopping block. Even funding for the Coast Guard, which plays a vital role in national defense, is reported to be under assault. Social services for the poor will be hit. 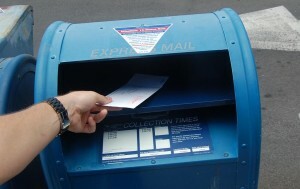 About 192,000 Hawaii residents get food stamps each month. More than 2,300 local families get federal housing subsidies that help them rent homes in the islands. The U.S. Capitol on the morning of President Donald Trump’s inauguration. 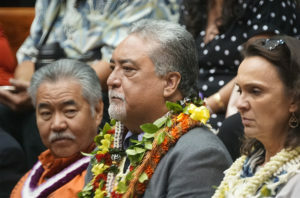 The new president is expected to propose spending cuts that will reverberate in Hawaii. The state government will feel the blow. About a fifth of the money in the state’s annual budget — more than $2 billion a year — comes from the federal government. 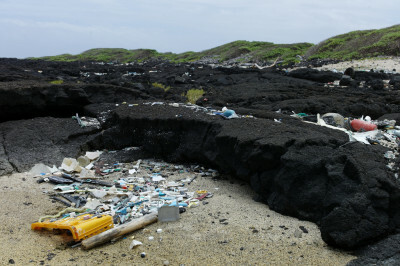 This helps pay the cost of operating the University of Hawaii, school lunches for poor kids, medical programs for new mothers and their children, environmental advocacy and protection and myriad other programs. 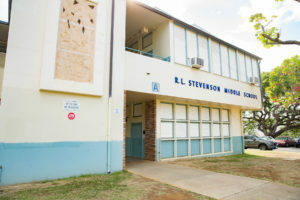 In all, more than $3.2 billion in contracts, grants and other kinds of assistance flowed, or will flow, to Hawaii from the federal government in fiscal year 2017, when payments to veterans, senior citizens and the disabled are included, according to a federal government website, usaspending.gov, which collects and compiles figures from all federal agencies. Officials at the Hawaii Department of Business, Economic Development and Tourism also expect a major impact. A U.S. Coast Guard vessel off the coast of Waikiki. While military spending is expected to go up, the Coast Guard could see cuts. 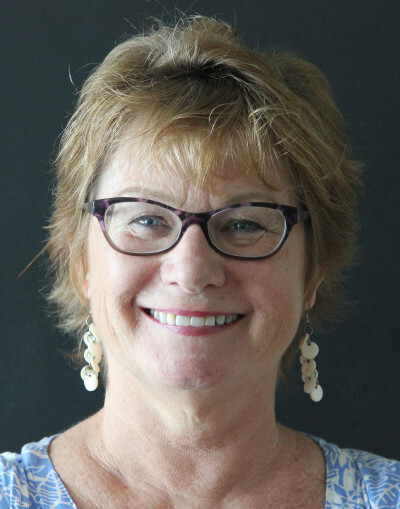 There will be many twists and turns along the way in the labyrinthine process that sets spending levels for the nation, but the bottom line is that change is coming, and the only question is whether the impact will be draconian or merely painful. The Republican-controlled Congress and White House are intent on trying to reduce spending because they think the federal government has grown too large and they want to dial back government regulation. They want the United States to move back in the direction of a balanced budget and fear for the future of a country with a $20 trillion federal deficit. The official federal budget-setting process will begin Thursday, when Trump proposes an annual budget for the federal agencies that will define his budget priorities. The president has already said he intends to increase defense spending by $54 billion, and there is some bipartisan support for that goal. He has also said he would not accept cuts to Social Security, Medicare or the Department of Veterans Affairs to help pay for the increase. This means, at least at this point, that all the cuts will come from other government agencies. On Monday, Trump said he had authorized Mick Mulvaney, his director of the Office of the Management and Budget, to submit a plan to reorganize government agencies and look for places where cuts can be made. Trump is suggesting that some of the budget cuts could come painlessly by finding ways to reduce what he is characterizing as overlap and duplication. 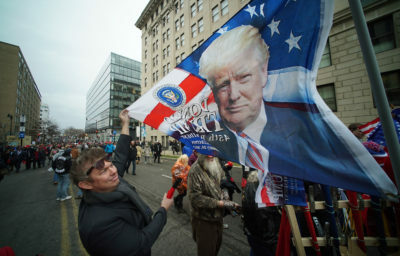 A flag was among the Trump memorabilia available at the Trump inauguration. The Post article compared the coming cuts to the reduction in federal workforce that followed World War II, when one-third of government workers lost their jobs. Trump has an enthusiastic ally in Mulvaney, a former Republican congressman from South Carolina who was an avid advocate of budget cutting and deficit reduction even before he joined the Trump administration. Mulvaney was confirmed for his post as director of OMB on a 51-49 vote Feb. 16. All the Democrats in the Senate voted against him, as did U.S. Sen. John McCain, a Republican from Arizona who chairs the Senate Armed Forces Committee, who voted against Mulvaney’s confirmation because the congressman had opposed increasing the defense budget. Other people will also play big roles in the deliberations ahead. 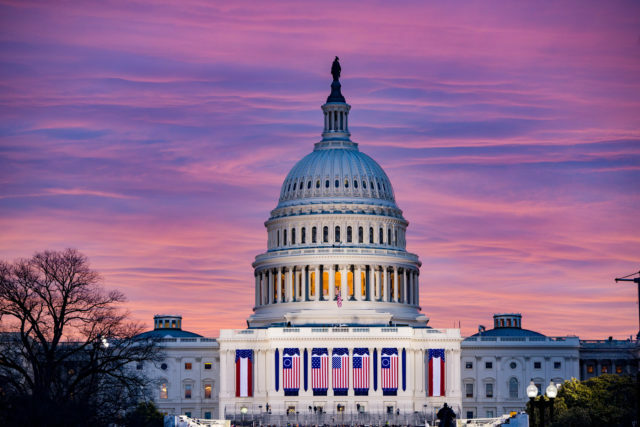 The first legislative work will occur in the House and Senate budget committees, which determine the congressional budget, a kind of blueprint for the process. 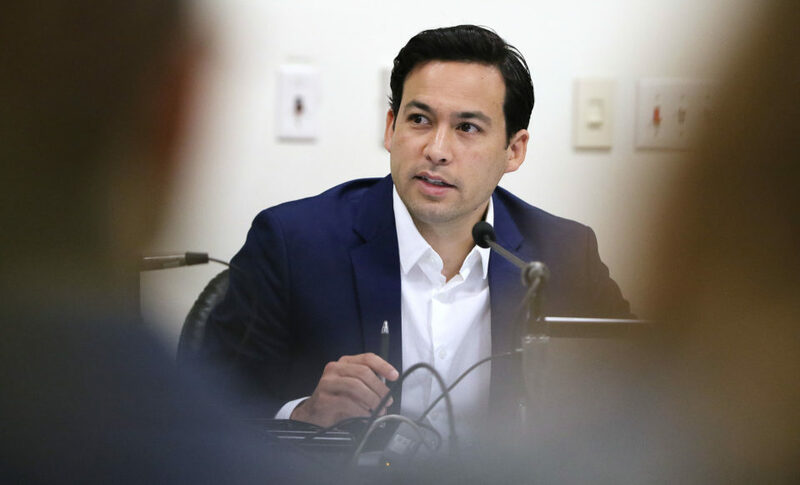 Both committees prepare their own budgets, known as “resolutions,” and then the House and Senate versions are reconciled and the final version must be approved by both the House and the Senate. Rep. Diane Black, a Republican from Tennessee, chairs the House Budget Committee. A former nurse who lived with her parents in public housing when she was a child, Black has said her priorities are reducing federal spending and decreasing the federal deficit. 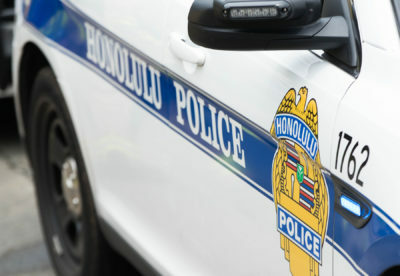 Hawaii’s four-member congressional delegation, all Democratic, is monitoring the situation, examining what Trump and their congressional colleagues have announced they will do, and also what published reports are saying they will do. Sen. Brian Schatz has been a vocal opponent of proposed budget cuts that would reportedly hit the U.S. Department of Housing and Urban Development and the National Oceanic and Atmospheric Administration, the agency that forecasts weather and predicts hurricanes. 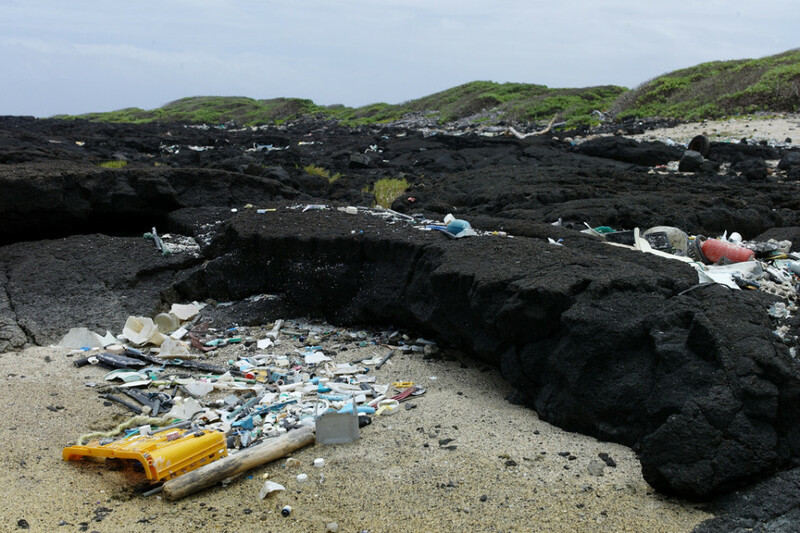 Schatz and Sen. Mazie Hirono have joined a bipartisan group of about two dozen senators, who are criticizing what they have been told are planned cuts in the Coast Guard budget. 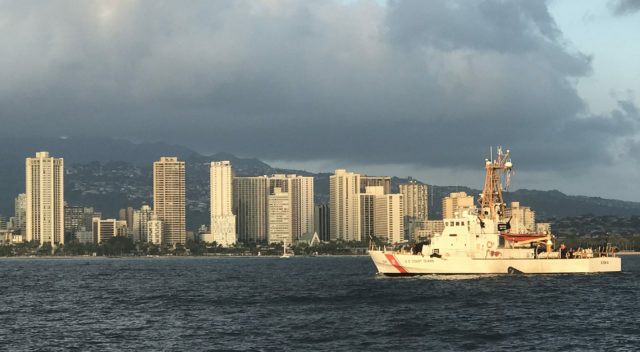 The Coast Guard’s 14th District, which is based in Honolulu, is responsible for the coastal waters of Hawaii, Samoa and Guam. Each week its forces save two lives, on average, and respond to 20 vessels in distress. Hawaii Sens. 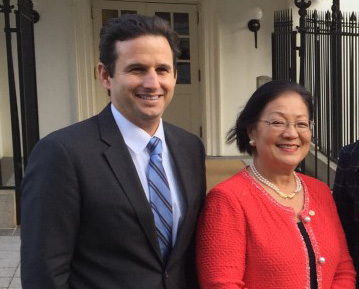 Brian Schatz and Mazie Hirono are already on record opposing U.S. Coast Guard cutbacks. One area that is not being threatened at this time is Social Security. That’s good news for senior citizens in the state. 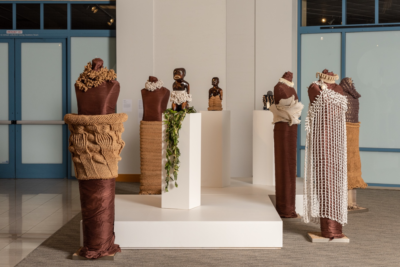 There were approximately 250,000 beneficiaries of the Social Security program in Hawaii in 2014, according to the State of Hawaii Data Book 2015. Most Social Security recipients are senior citizens, and for many of them, it is their only source of retirement income. No cuts are expected at the Department of Veterans Affairs, either. 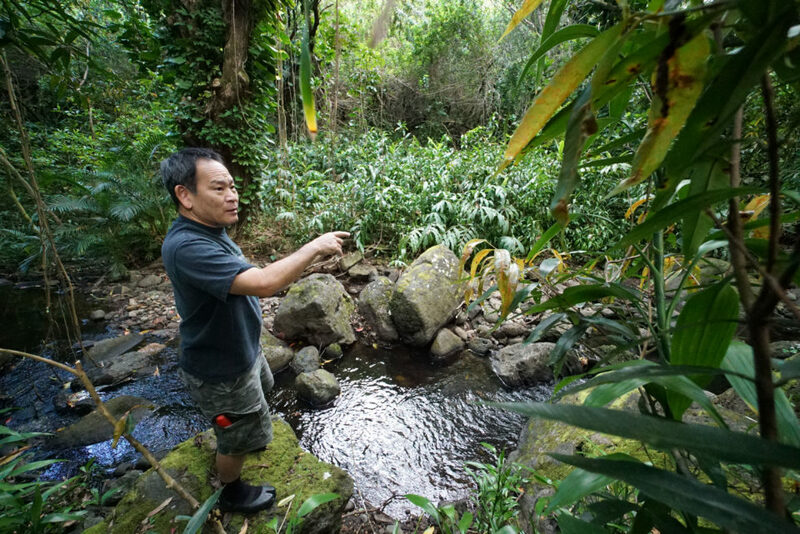 About 120,000 people in Hawaii are veterans. The only budgetary bright spot for Hawaii is military spending. The U.S. House of Representatives, for example, recently approved a $578 billion defense bill, up $5 billion from last year. 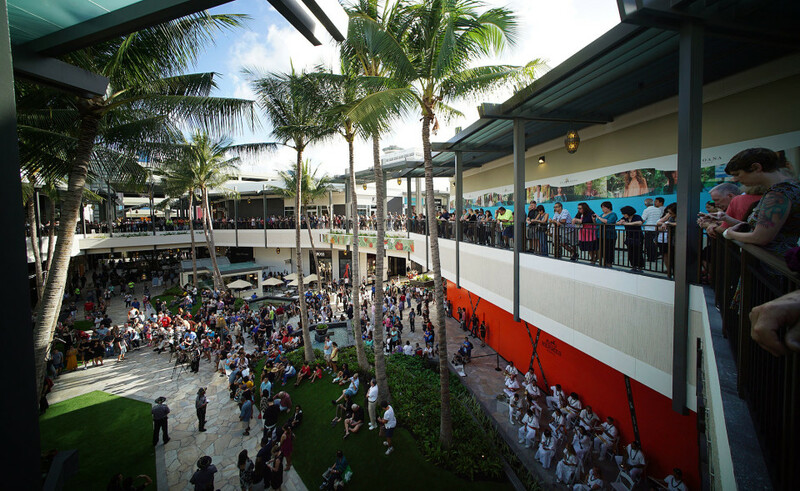 Military spending has a ripple effect in Hawaii, according to state economists. A $1 billion military expenditure generates $1.7 billion in total output because it produces revenues for a host of other industries, such as real estate development, retail operations and business services that help serve the mission’s purpose. A $1 billion investment also creates 11,842 jobs, according to state estimates. It’s also possible that less fiscally conservative leaders will prevail in the budget battles ahead and good old-fashioned horse-trading could lessen the impact in other ways. The political landscape has been unpredictable for the past year, and will continue to be so. With so many different ways Hawaii could be affected, it’s not surprising that many people are anxiously awaiting the outcome of the budget-making process in Washington.